℗ 2018 Montuno/Shanachie Ent. Corp. 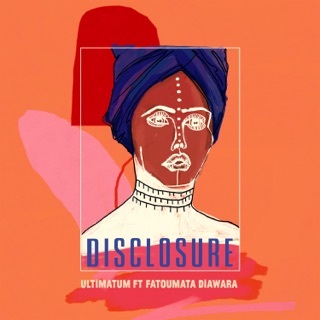 The Malian singer-songwriter Fatoumata Diawara is often described in terms of her voice—soulful, sensuous, poignant, passionate—but perhaps the most important qualities she brings to her music are wisdom and independence. She knows the value of tradition because she has tested its boundaries—at 19 she defied her family, avoiding an arranged marriage by running off to join a French theater company. She understands the importance of home from spending time away. For seven years after her 2011 debut album she performed around the world and collaborated with other artists; played a key role in the Oscar-nominated film Timbuktu and formed a supergroup of Malian musicians to sing for peace during the country’s civil war. 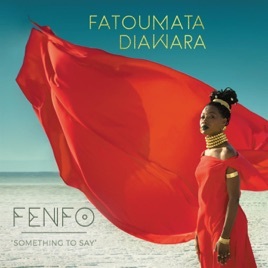 Fenfo (Something to Say), her second album, is a vibrant blend of Wassoulou tradition and experimentation, Malian folk, Afropop, blues, jazz, rock, funk and a delicate electronic-acoustic balance. 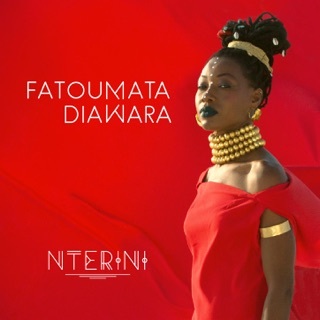 Music choices aside, the deeper message is in her lyrics (sung in Bambara) about humility, family and building better societies. Nterini (My Love/My Confidant) evokes African emigration from the viewpoint of a woman whose husband goes to work abroad. Bonya (Respect) is a rock-edged song of values. She gives some subjects binary scrutiny: The irony in the title track is that while Diawara always has something to say, her parents didn’t prepare her for the world’s turbulence; but she also pays loving tribute to them in the bluesy Mama. In Kokoro (Heritage) she expresses pride in African civilization but Kanou Dan Yen (Our Love Has No Future) decries taboos against inter-ethnic marriage. Heartbreak takes a lighter turn in Don Do, about a woman who follows a handsome man, the song’s English title—One Fine Day—suggesting that even a wrong turn can inspire the kind of optimism that defines this monumental voice. Probably my favorite record of 2018! Watched her live....even better!